After a few months of wrangling broken fax machines, drug tests, pap smears, dental fillings, mantoux screenings, turn-your-head-and-coughs, hundreds of pages of HR paperwork, many vials of blood and other costly indignities, we are on our way back to South Pole. Saying goodbye again was oddly difficult. Leaving Minneapolis was hard, and I cried on the plane after seeing downtown for the last time. I don’t even like downtown. But I am so excited to be deploying. This is going to be a pretty special year to get to go to Pole; in December we will celebrate the centennial of Norwegian explorer Roald Amundsen’s arrival at the Pole in 1911, the very first human being to EVER make it to the southernmost point of our earth. It was a battle. Robert Falcon Scott’s team, only a month behind them, made it second and subsequently died on the way home. And only a hundred years later, people like Daniel and me get to apply for decidedly non-explorer-esque jobs (IT and inventory, respectively), and go there without being even slightly worried that we are going to freeze or starve or get so dehydrated or depressed or exhausted that we die. Well, maybe a little worried, but I can assure you that’s totally irrational. 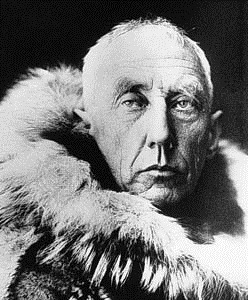 I’m also pretty excited, because Amundsen was Norwegian and I’m racially Norwegian (is that a thing? I’m going to pretend that that’s a thing). I got to visit Norway two years ago to visit relatives (hello out there! ), and they, understandably, had a light-hearted and proud sense of ownership of all things Polar, but especially of the fact that a Norwegian and his team were the first humans, maybe the very first living organisms for millions of years, to arrive at the South Pole.